Heart attack-eating salesmen, bulimic rainbows, wolf-faced gladiators, girls with eight inch fingers, swarms of winged octopi– If you’ve ever found yourself pondering the possibility of any of these slightly disturbing and seriously bizarre images, it means you’ve somehow stumbled into the absurd and wonderfully nightmarish vision created by the now infamous Seattle-based band, The Blood Brothers. The band was formed in 1997 by then-teenagers and vocalists Jordan Blilie, Johnny Whitney (who would also serve as keyboardist), as well as drummer Mark Gajadhar. The three were shortly joined by bassist/keyboardist Morgan Henderson and guitarist David Welch. 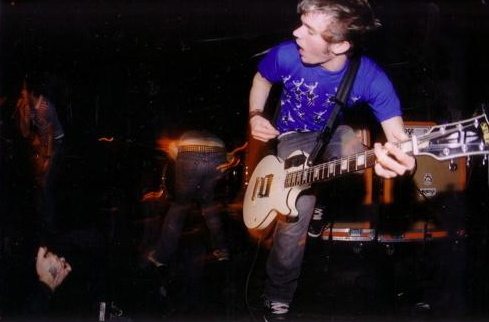 Cody Votolato would be the final addition not long after, replacing Welch after the band’s first 7” recording and serving as guitarist for the remainder of the Blood Brothers’ duration. Labeling this band seems nearly impossible, as there are bits and pieces of many different genres and their discography proved to be anything but static in its progression over time. Listening to “This Adultery is Ripe” or “March on Electric Children”, the first two full length albums created in 2000 and 2002, alongside “Crimes” (2004) or 2006’s “Young Machetes” is clear indication of this. Gajadhar’s drumming and Henderson’s bass playing show amazing versatility and fluctuate as needed to help establish the sudden changes in any given track (which occur often). Anxiety builds as we are taken on a trip through the many dark worlds and twisted creations Blilie and Whitney build in their lyrics, and both Mark and Morgan provide that much needed foundational guidance along the way while still being able to contribute skills largely incomparable to their peers. Votolato is hugely important to the unique sound, bringing jarring chords, irregularly timed entrances, and frenetic pace to each track. Interspersed with all of this are somewhat carnival-esque, canorous keyboard melodies that make each song more memorable (and, frequently, slightly more unsettling). One of the most iconic and distinctly recognizable elements of the band is the ebb and flow of Blilie’s and Whitney’s vocals, the two constantly intertwining to form dark ribbons of sound that grip the audience and command attention, even amongst the instrumental insanity that is simultaneously taking place. There is something perfectly discordant about the screams and howls emitted from this vocal duo, with Whitney providing more of the melodic, high-pitched wails that are countered and juxtaposed against Blilie’s lower and more guttural growls. 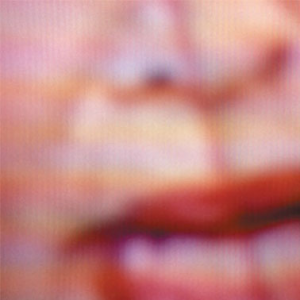 Tracks often center around grotesque imagery, especially that which we might find grotesque within ourselves– examples of this can be found in any of their five full-length albums and two EPs, from the chaotic frenzy of the track “Six Nightmares at the Pinball Masquerade” to the equally haunting yet slightly slower paced (by Blood Brothers standards only, mind you) “My First Kiss at the Public Execution”. The listener is challenged to look at society’s ugliness, which is then inexorably linked to our desperate attempts to mask or ignore this monstrousness. The band built up a cult-like following in its ten year span, with an ever-increasing fan base that has continued to grow since their disbandment in 2007. Despite the official split in November of that year (about a year after what would become their final album, “Young Machetes”), band members have consistently been a part of a wide array of successful, equally exciting musical endeavors since. Among these projects and bands was the post-split formation of Past Lives (Blilie, Gajadhar, Henderson, Welch), the more upbeat, electronic-based Neon Blonde (Whitney, Gajadhar) and Jaguar Love (Whitney), the folksy and significantly subdued Fleet Foxes (Henderson), and fellow Three One G artist and supergroup Head Wound City (Votolato, Blilie). 2013 marked the ten year anniversary of the highly influential and wildly creative album “Burn Piano Island, Burn”, bringing back memories of Blilie’s visceral snarls in “Guitarmy” in which he inquires, “Do you remember us?” (how could we forget?) and causing a mass migration back to the cobweb covered stools of the Silhouette Saloon.